Pepper Mild Line Created with Sketch. If there is a king of chili peppers, then all hail the jalapeño. Fresh jalapeños provide the heat while a perfect blend of fresh-diced tomatoes, onions, green peppers, cilantro, garlic and natural spices provide the just right. Not too hot. Not too mild. The jalapeño may indeed be the Grand Poobah of peppers but there’s nothing ruthless about ours. Not too hot. Not too mild. Fresh jalapeño peppers deliver the perfect balance of heat and sublime. Ingredients: Diced tomatoes, fresh onions, jalapeño peppers, green peppers, fresh cilantro, garlic, salt, vinegar & spices. 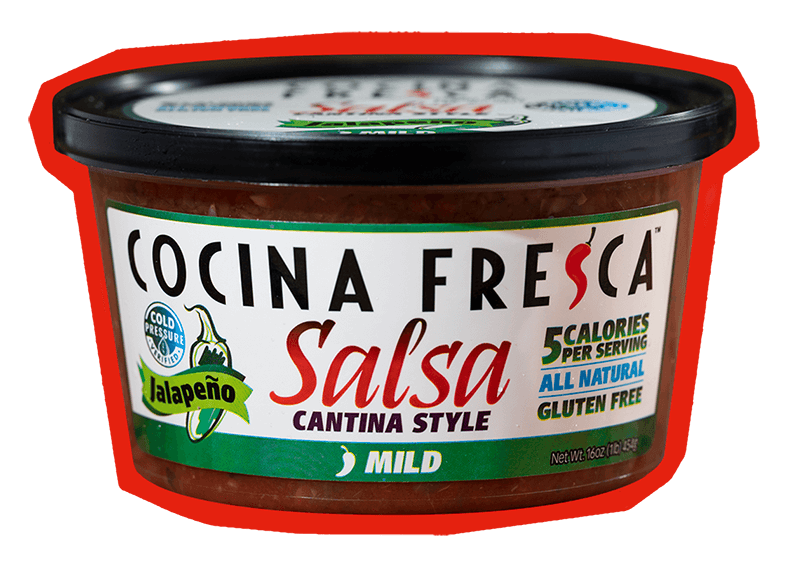 Health Information: Jalapeño Salsa is made from all-natural ingredients including diced tomatoes, fresh onions, cilantro and jalapeño peppers and contains no additives, artificial flavoring or preservatives. 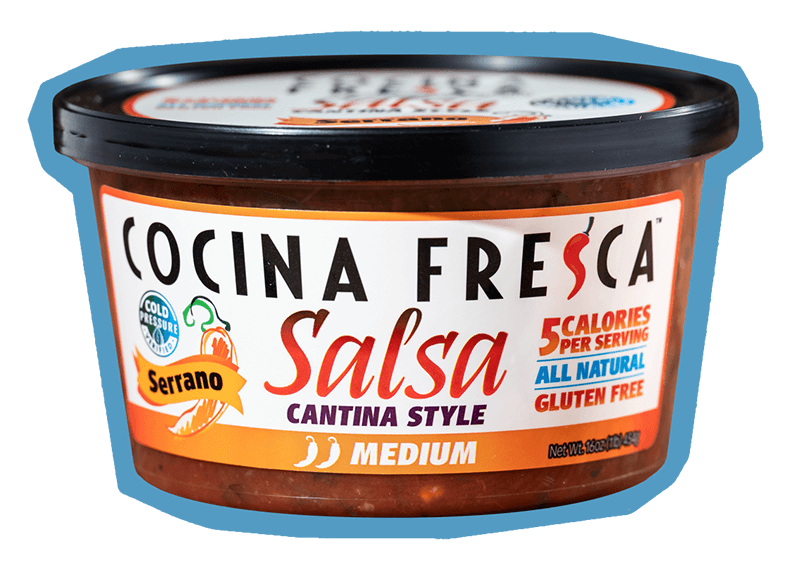 With zero saturated and trans fats, Cocina Fresca Salsas are heart healthy, gluten free and Keto, Atkins, South Beach and Mediterranean diet friendly. Oh, and did we mention totally delicious? Pepper Pepper Medium Line Created with Sketch. Born in the Sierra Mountains of Mexico, fresh serrano peppers turn the heat up a notch without scorching the tonsils. Our tears, your joy. 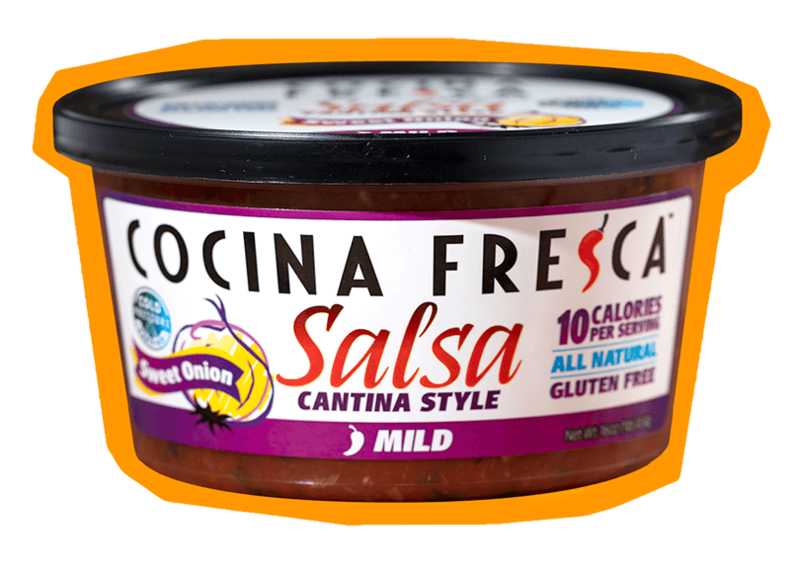 Freshly chopped sweet onions, diced tomatoes and cilantro make this mild but robust salsa a family favorite. Pepper Pepper Pepper Medium-hot Line Created with Sketch. 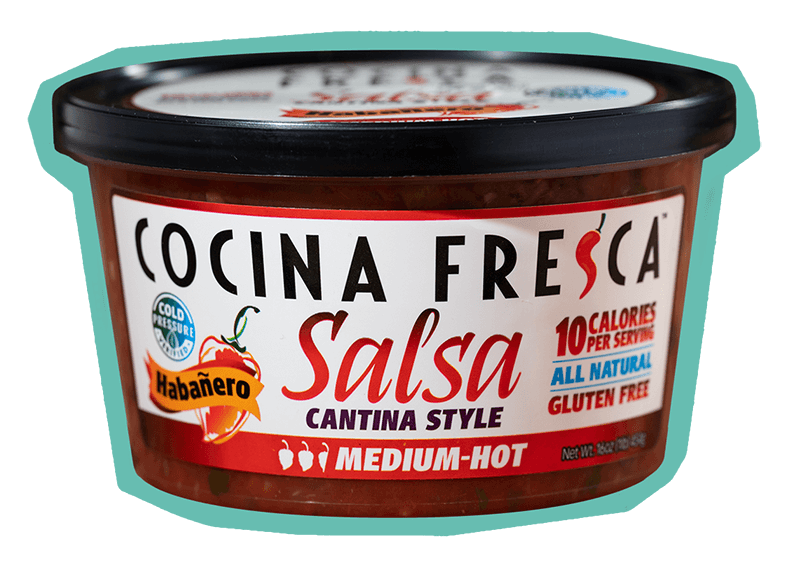 The audacious heat of fresh habaneros complemented (but never tamed) by tomatoes, chopped onions, and all-natural ingredients.